The HANDWERX Solid Hardwood Flooring Collection in eco-friendly plantation grown HEVEA Hardwood features a stunning Distressed Surface Texture. This collection is available in (4) gorgeous colors that are coated with (8) layers of Trumpp Anti-Scratch High Performance Urethane finish for best in class durability and protection from every day wear and tear. Easy to clean and easy to maintain, this low gloss finish is ideal for residential applications on or above grade. This product was manufactured in Indonesia and is Lacey Act Compliant and undergoes SVLK Timber Legality Verification. This entire collection is available exclusively at builddirect.com! 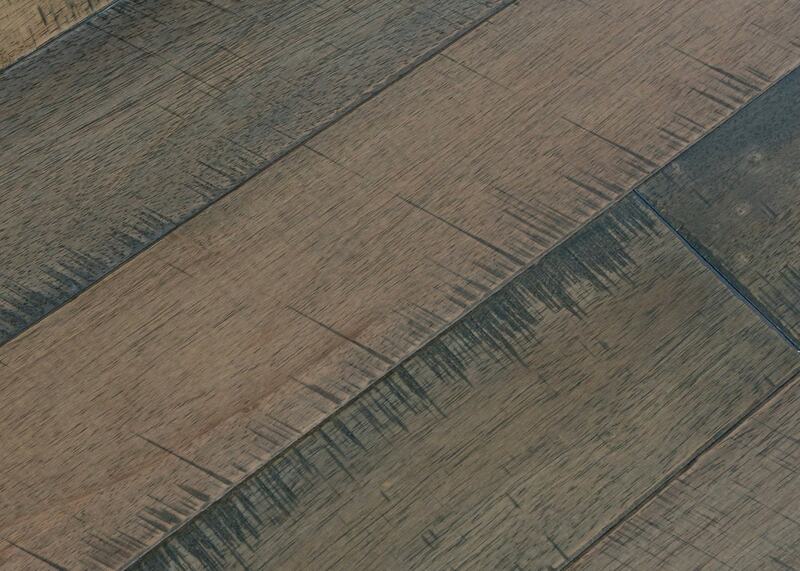 Distressed Surface Texture by skilled artisans at our manufacturing facility in Indonesia. Plank Dimensions: 3/4" Solid Thickness x 4" width x 15"-47-1/4" Random Lenths (Average Length: 30"+) with 4-sided eased edges & ends. LACEY ACT and SVLK Timber Legality Verification compliant. SVLK verification is required by Indonesian law for all wood product exporters from Indonesia. This gives you assurance your wood is produced from legally harvested wood. 3rd party certified by SCS global services. Lacey Act Compliant and undergoes SVLK Timber Legality Verification.